Posts tagged with "capital lease"
If you are considering opening a restaurant in your area for the first time, you may not know how much work must be completed up front before opening for business. From finding an ideal location that is suitable for your restaurant’s needs to furnishing your restaurant’s interior with tables, chairs, and kitchen appliances, there are a number of steps that must first be taken before welcoming new guests to your establishment. 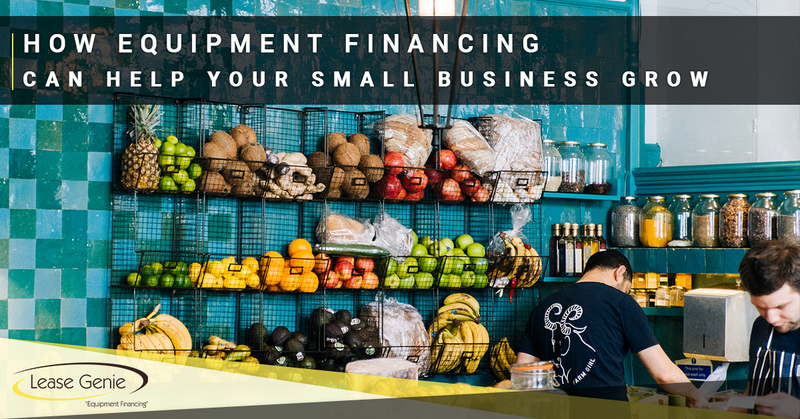 That’s why, in today’s article on equipment financing, we will talk a little more about how leasing your kitchen’s equipment can help save you money upfront so that you can start becoming profitable during your first few months of business. At Lease Genie, we are your top online resource for equipment financing, construction equipment leasing, new business equipment, and so much more. With more than 30 years of experience in the financing industry, and having helped countless small and large businesses grow, we know that you will be pleased with what we are able to offer you. To learn more about how Lease Genie can help to ensure that your restaurant is ready on opening day, continue reading more on the subject below. Many new restaurant owners may be strapped for cash, and for good reason. Not only do restaurants require a full offering of furnishings in the form of tables, chairs, and booths, they also need a fully functional kitchen to ensure that the business runs smoothly and efficiently. When combining these two substantial costs with the cost of renting or purchasing property, you can begin to see why opening a restaurant can put a significant strain on an individual’s wallet. Receiving the proper restaurant equipment can also help you save on costs later down the road. Since it can be so costly to open a restaurant, many new business owners will opt for less than ideal equipment that may break down or fail altogether. If funding for your restaurant is lacking, it may be a good idea to invest in restaurant equipment leasing with Lease Genie. Not only will you receive the best restaurant equipment currently available, you will also receive peace of mind knowing that your financed equipment is built to last for countless years to come. This can help to maintain your business operations without having to worry about making costly repairs or replacements. When opening a restaurant for the first time, it is not uncommon for new restaurant owners to work with limited equipment that ultimately restricts the amount of guests that they can effectively serve. Not only does this slow down your kitchen’s operations, it also creates unhappy guests that are required to wait extended periods of time before receiving their food. Instead of hamstringing your restaurant’s ability to service guests, consider equipment financing through Lease Genie. With the right kitchen appliances, not only will you be able to get food out quicker to your guests, you will also be able to keep up with lunch and dinner rushes. By streamlining your kitchen operations, you will be able to rotate guests in and out of your restaurant much quicker, leading to an increased bottom line, positive reviews by guests, and a growth in your customer base that will continue to pay dividends in the form of repeat customers. For this reason, Lease Genie continues to be the best solution for new business owners that are looking to give their guests the most in service. These are just a few of the many ways that Lease Genie is able to help small businesses continue to grow throughout the country. If you would like to learn more about our financing options that we offer to business owners, visit our website today! From commercial vehicle leasing and industrial equipment financing to financing for new business equipment, we know that you will be able to find what you are looking for on our website. To get a fast quote on how much financing you are eligible to receive, call our friendly team of lending professionals at 402-281-9830 today! Alternatively, you can simply visit our website, provide your name and email, and one of our team members will be in touch with you shortly regarding your leasing options. We look forward to speaking with you! This entry was posted in Business Financing Omaha and tagged capital lease, equipment financing, equipment leasing on February 6, 2018 by David Craig.